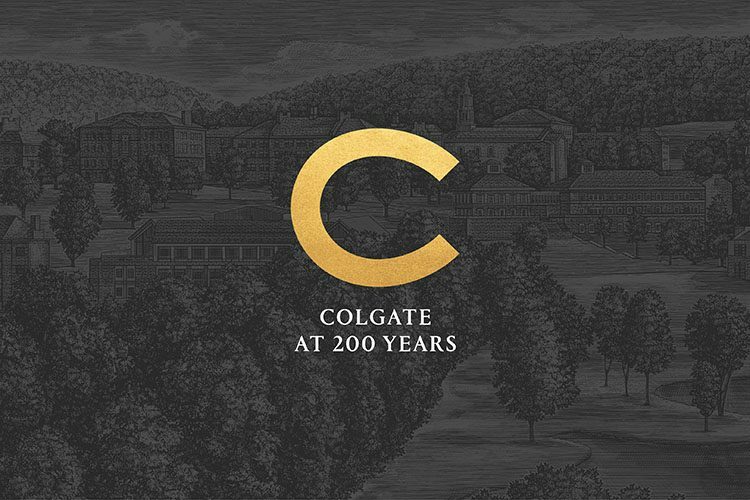 Today, Colgate University launches the online aspects of the celebration honoring its 200-year history and anticipating its bright future — at 200.colgate.edu. The university is looking back by exploring stories of the people, places, and moments that led to Colgate’s present distinction. These stories represent some of Colgate’s most celebrated milestones, decisions, and actions that transformed it into a leading institution of higher education. Community members will also get to revisit — and learn more than they might previously have known about — favorite memories and traditions. Notable events and individuals whose legacies have up to this point been underrepresented or lost to time and memory will now have their stories told. The scholarly investigation of Colgate by students and professors has informed some of these stories. New stories will be released regularly throughout the 2018–19 Bicentennial year. The Colgate experience creates bonds that transcend generations; the university is inviting all members of the community to share their experiences on the Your Stories page. At 200 years, Colgate has a global reach; so, too, will Bicentennial events in Hamilton, around the country, and abroad provide those near and far with a chance to celebrate — while enjoying the friendships that come with membership in this remarkable community. Driven to be the finest undergraduate institution in the nation, Colgate is also looking forward, powered by the energy and creativity of this community, with a strong vision for its third century. Members of the community can also show their pride by visiting the Resources page for desktop and phone wallpapers, social media profile images, and more — as well as learn even more by visiting the Special Collections and University Archives digital collections. Colgate was built on the generosity of its founders and has been sustained by an unwavering philanthropic tradition. Support of Colgate shows enthusiasm for its past and demonstrates a commitment to its future. New content will regularly be added to 200.colgate.edu throughout the Bicentennial — offering continuing opportunities to take part in the Colgate at 200 celebration of the university’s history and its mission to be the first choice for students of promise and achievement — the finest undergraduate institution in the nation.